Join Alladin Nursery for another year of celebrating the beauty of roses! Marvel at hundreds of cut roses on display! and receive rose advice by ARS Consulting Rosarians! Rio Jewelry Studio on Santana Row at Maker's Market in the Park! Come Join Rio Jewelry Studio at Maker’s Market in the Park on beautiful Santana Row! Visit our event table and sign up for our contest! Music, Food, Vendors and Fun! Friday, Saturday and Sunday! Music and Wine. This is Alladin’s yearly event, lots of fun and fabulous vendors, this year the Isaiah Pickett Band and Pentimento Jazz Trio with wine from Bargetto Winery and Sante Arcangeli Winery. Always loads of fun!!! Visit Rio Jewelry Studio in Saratoga, California, Holly Days Artisan Faire—Friday Nov. 9th and Saturday Nov. 10th 2018 9a.m. to 6p.m. Come join Rio Jewelry Studio at this exciting and fun event in Saratoga California! Rio Jewelry Studio will be in Saratoga California at the Holly Days Artisan Faire. This is one of my favorite events, lots of fun, food and great gift ideas! Rio Jewelry Studio Collection in Malibu! Join Rio Jewelry Studio Collection in Malibu! 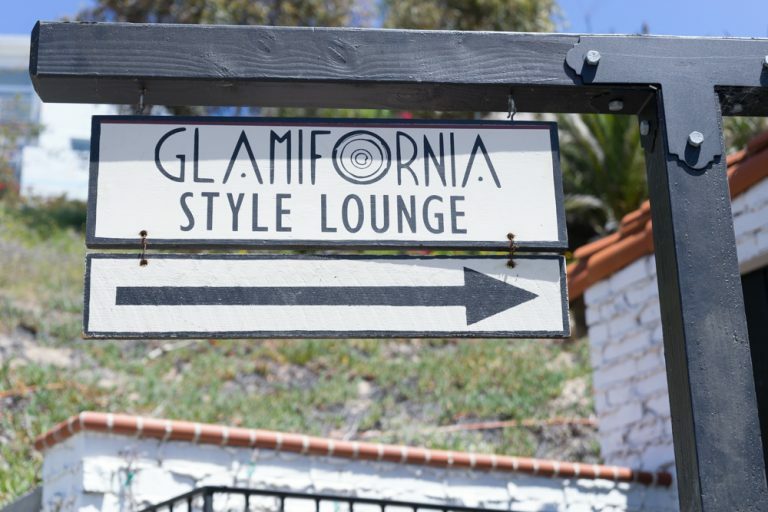 Glamifornia Style Lounge! Featured Artist, Jann Bauer First Friday August 3rd 4-8pm Wine, Food, Music, and STYLE! Join Rio Jewelry Studio at Downtown Los Gatos 3rd Thursday Block Parties!!! This is Los Gatos' first Third Thursday Block Party, it will be great fun for all, stop by and visit Rio Jewelry Studio's table in the park by the fountain! Second Saturdays is Downtown Campbell's monthly art walk & street entertainment event to showcase local artists, makers, and entertainers. It happens on the Second Saturday of each month from April through December from 2pm-6pm (rain or shine). Each month will bring a different mix of artists, makers, and activities and we'll have different musical entertainment scheduled. Join Rio Jewelry Studio at Alladin's! Join us for another year of celebrating the beauty of roses! Dec. 1st, 2nd, and 3rd, Visit Rio Jewelry Studio at Alladin Nursery and Gift Shop! Sit around the fire and enjoy a cup of hot coffee or hot apple cider. Once you’ve warmed up, dance to live jazz and have a glass of wine from local wineries. Try some of Dora’s delicious homemade pastries. Bring in your favorite pastries to share! Then take a stroll through the Gift Shop, as it is transformed into a beautiful Christmas wonderland, full of gifts for everyone to enjoy! Also, here at Alladin’s we will be collecting food for our local food bank throughout the holiday season and into the new year. Bring in a bag full of non-perishable or canned groceries to donate to the Second Harvest Food Bank and receive 10% off your purchase. Bring 2 bags and receive 20% off! Thank you for your support, and Happy Holidays! Please join us at the 2017 Fiesta de Artes on Saturday and Sunday, August 12th and 13th, 10 am to 6 pm daily. We are excited to announce this year’s Fiesta will be held right downtown Los Gatos! For the first time ever, the festival will be held on North Santa Cruz Avenue and the Los Gatos Town Plaza, bringing together the town and Fiesta. All your favorite features will be there, but with even more artists booth, food, wine, beer, and live music. And bring the kids and treat them to snow cones and a jump house. Join 20,000 of your friends at the annual Fiesta de Artes, sponsored for 21 years by the Kiwanis Club of Los Gatos. . Don’t miss the town’s one and only art and wine festival. The Fiesta is free and open to the public. Come visit Rio Jewelry Studio at the May Wine Stroll in Saratoga, California. Wine, food, fun! Visit scenic downtown Saratoga and take a beautiful stroll along boutiques and restaurants on Saratoga Avenue! Rio Jewelry Studio will be at Alladin's for another year of celebrating the beauty of roses! Enjoy a glass of local wine!